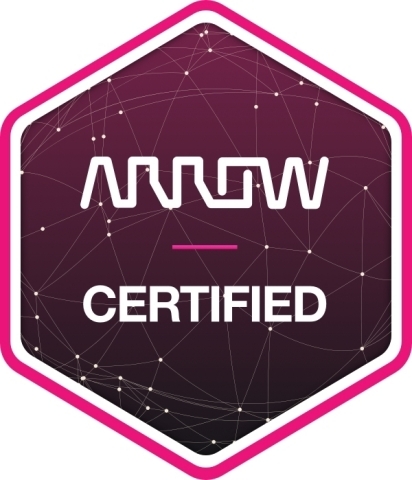 Arrow Electronics, a global provider of products, services, and solutions to industrial and commercial users of electronic components and enterprise computing solutions, is now joining the Embedded World 2017 exhibition and conference. Embedded world is the trade fair for the security for electronic systems and distributed intelligence, started on 14 March 2017 until 16 March in Nuremberg, Germany. At Embedded World Arrow Electronics is showcasing a range of products and services that can assist members of the maker community in transforming their innovative ideas into production. Start-ups and established companies can all benefit from a suite of online tools that, combined with Arrow’s breadth of suppliers and global logistical capabilities, enable time-to-market to be shortened. Visitors can learn how to benefit from Arrow’s relationship with crowdfunding pioneer, Indiegogo. Working with Indiegogo, Arrow is able to put critical resources in the hands of entrepreneurs, such as components procurement and online design tools, and also to share its expertise in the journey from design to production. Arrow will also demonstrate a free, integrated, cloud-based version of the Cadence OrCAD Capture design solution that makes it easier for design engineers and makers to integrate component research and selection within their design environment. OrCAD Capture Cloud saves significant development time, helping entrepreneurs get their products to market more quickly and cost effectively. At Embedded World 2017 Arrow will introduce several new 96boards to the market: Meerkat, Chameleon96, Oxalis! 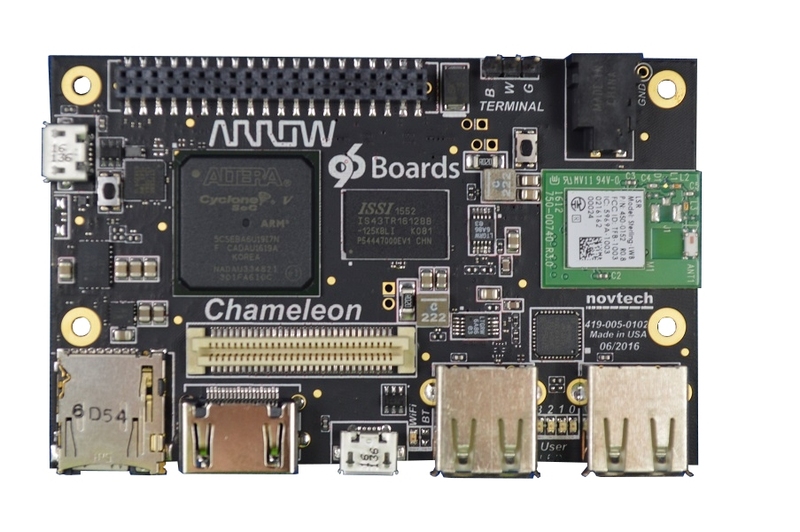 The Chameleon96 board from Arrow Electronics is featured prominently at Embedded World 2017. Meerkat has NXP® i.MX7D processor, a dual-core ARM® Cortex™-A7 at up to 1.2GHz clock speed per core and ARM Cortex-M4. The connectivity on the board is: WLAN 802.11 b/g/n 2.4GHz, Bluetooth 4.1, One USB 2.0 OTG micro AB, Two USB 2.0 HOST, On-board BT and WLAN antenna. Chameleon96 has Intel® Cyclone V SoC FPGA, a dual-core ARM® Cortex™-A9 at up to 800MHz clock speed per core, capable of 32-bit operation. It supports Linux at launch and offers advanced processing power, WLAN, Bluetooth, and USB, all packed into a board the size of a credit card. 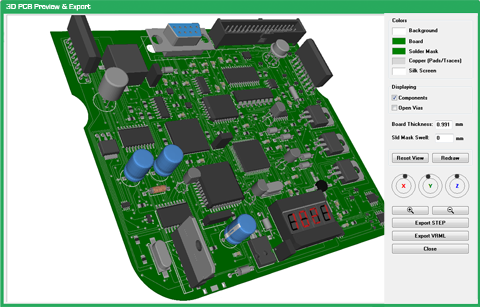 Oxalis, the 96Boards EE (Enterprise Edition) carrier board which held the SoM based on NXP Network Processor QorIQ® LS1012A processor, optimized for battery-backed or USB-powered, space-constrained networking and IoT applications, integrates a single ARM Cortex-A53 core running up to 800 MHz with a hardware packet forwarding engine and high-speed interfaces to deliver line-rate networking performance in an ultra-small size envelope at 1W typical power dissipation. 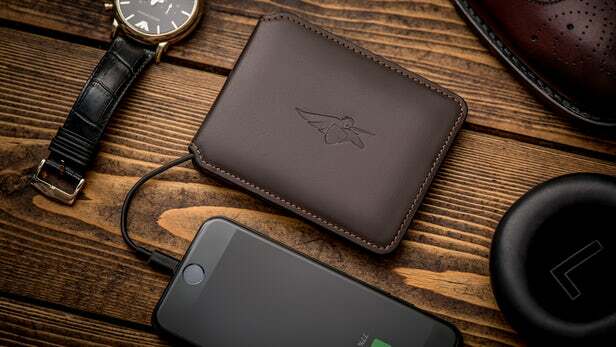 More details about Arrow’s “From Maker to Market” philosophy check this article. You can still visit Arrow during Embedded World at booth 340 in hall 4A to know more about the offers, products and online tools. 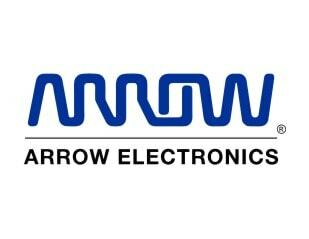 Also check Arrrow Electronics website for more information.